Contrary to what one might expect, most of the plants found in aquariums are not really aquatic. They generally live partly out of the water, with only the lower portion permanently submerged. Their leaves are sturdy, unbroken in form, and quite big. When the level of rivers and ponds rises due to rain - sometimes very heavy in tropical regions - the plants end up almost entirely, or sometimes even completely, covered by water. 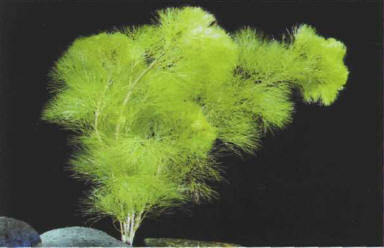 They develop submerged leaves, which are different from those which appear outside the water, being finer and more delicate. At the end of the rainy season, the water returns to its initial level, and the plant reassumes its previous form. Other plants are totally aquatic, with the upper part of their stems only rarely seen above the water level - usually to produce a flower. There are also amphibian or totally aquatic mosses, that are very useful in aquariums, as they provide a place for some fish to lay their eggs. Another option is ferns, not only the best-known species from temperate regions but also those from the tropics that can survive entirely submerged by water. Plants with fine leaves are prized both by herbivorous fish and other species that lay their eggs on them. 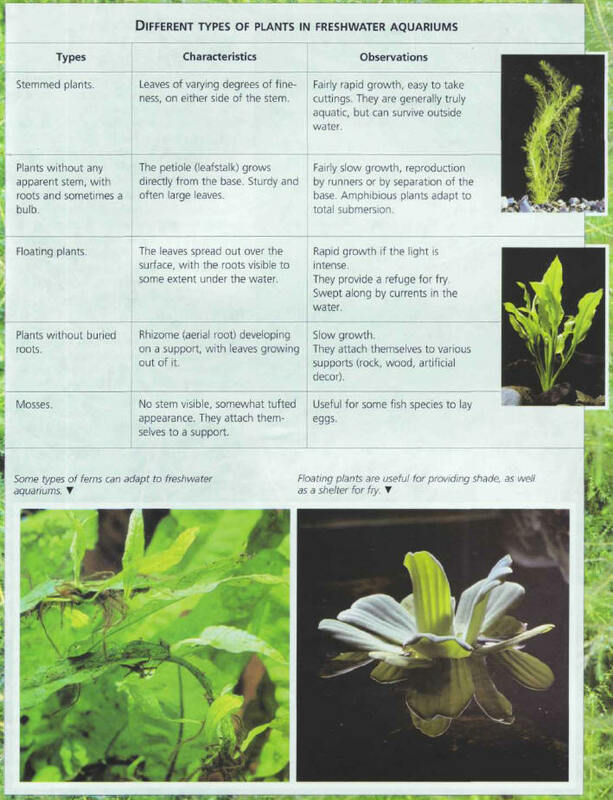 It is possible to find excellent imitations of natural plants, but as an aquarium is a reconstitution of a piece of nature, it is easy to see why they are totally off limits for many aquarists, who prefer their plants to be natural. 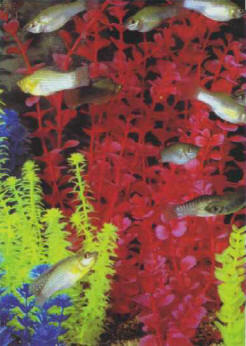 Some of these artificial plants, however, can serve as a support in a rearing tank for those species of fish that lay adhesive eggs. The effect created by plastic plants is not always in exquisite taste! Самая актуальная информация iq option apk у нас.